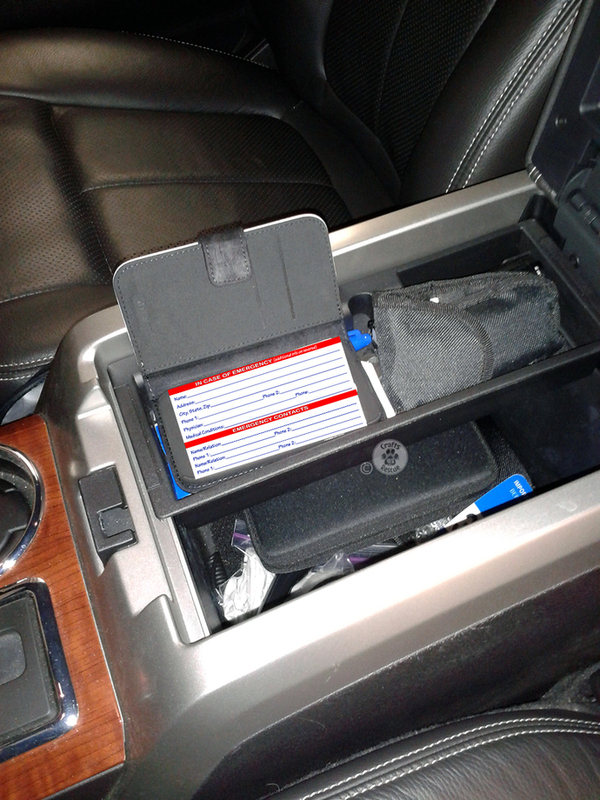 It may look like a phone case or a wallet, but we've repurposed it to make an awesome Emergency Information wallet for your vehicle!!! 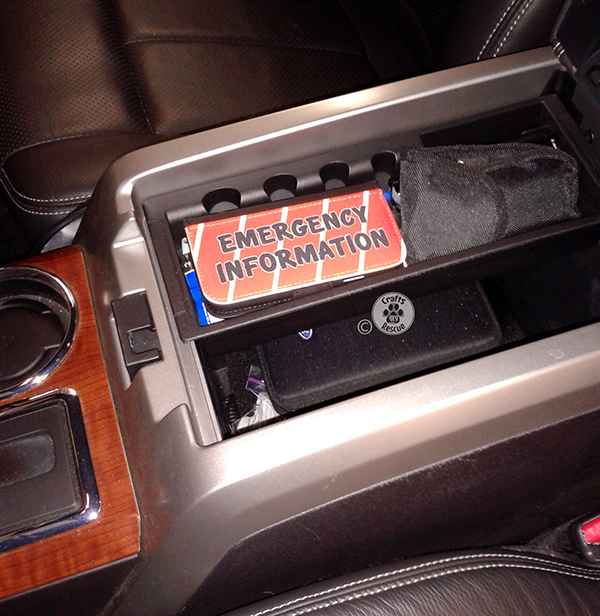 Now you can keep your emergency information in one place and easily identifiable! 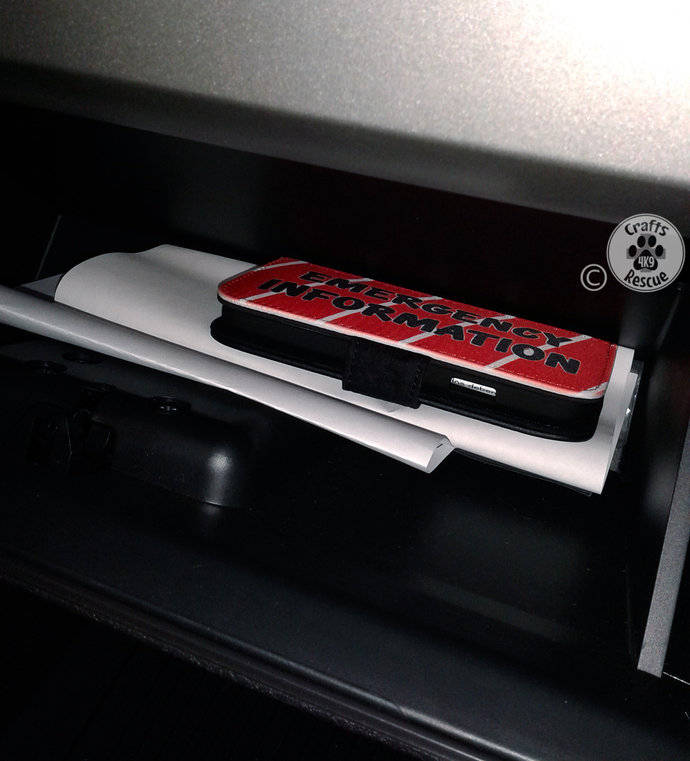 Our Emergency Information wallets are designed to match our Dog(s) On Board emergency info tubes, easily fit in the glove box or center console, and also have slots to store your vehicle registration, extra cash, etc. You can select the Regular Text or the Yellow Accented Text version. 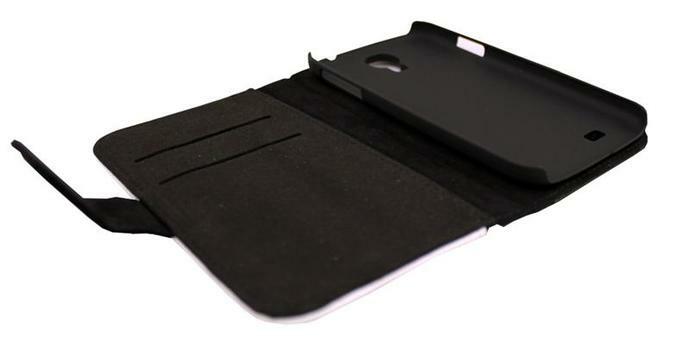 The wallet has a magnetic flap for easy and safe storage and at 5.5" x 3.0" x 0.75" is the perfect size to fit most any location. 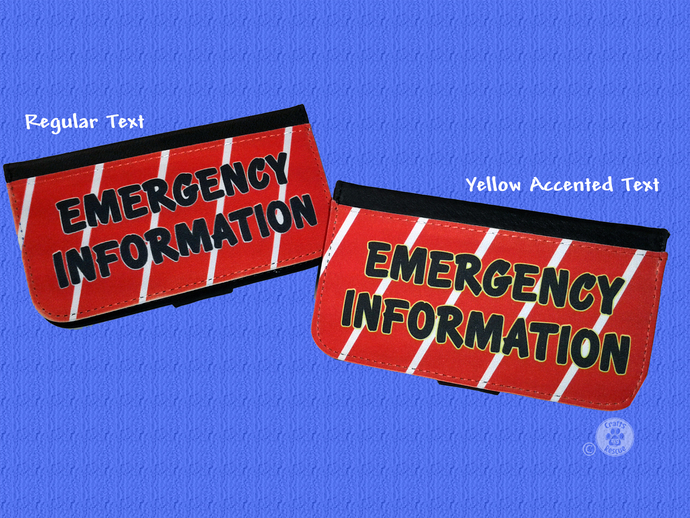 The wallet includes the pictured 2-sided Emergency Info sheet that fits inside the wallet. 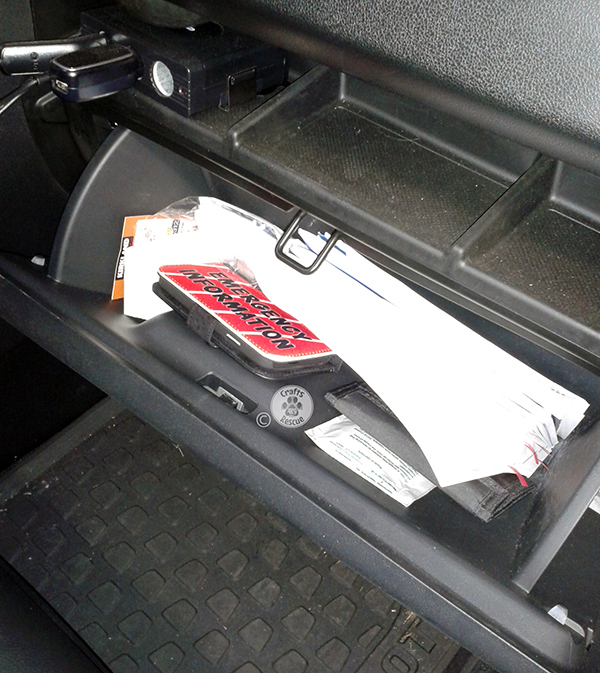 Or you can use your own info sheet which could be folded to fit within the wallet or folded so that some of the paper is visible out the wallet ends. 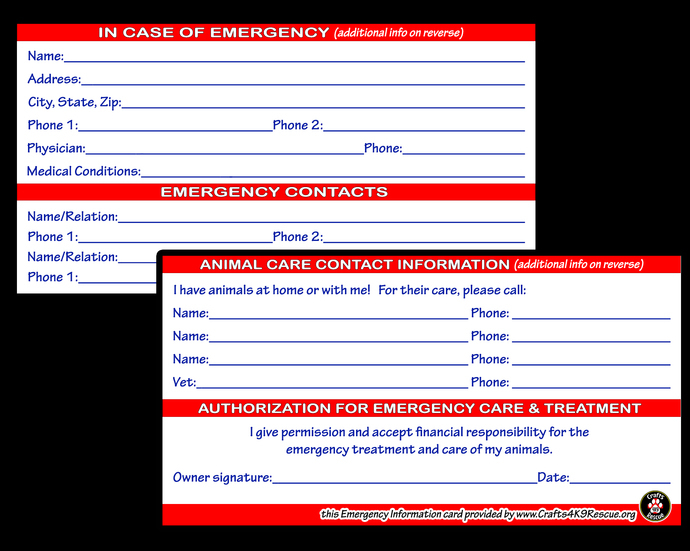 And because we obtained them at a great price, the full selling price, $5, goes to our monthly rescue donation. 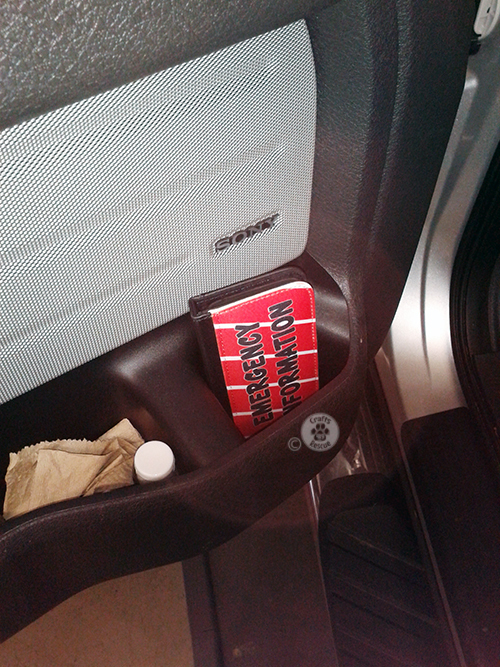 NOTE - this listing is for one (1) Emergency Information Wallet.